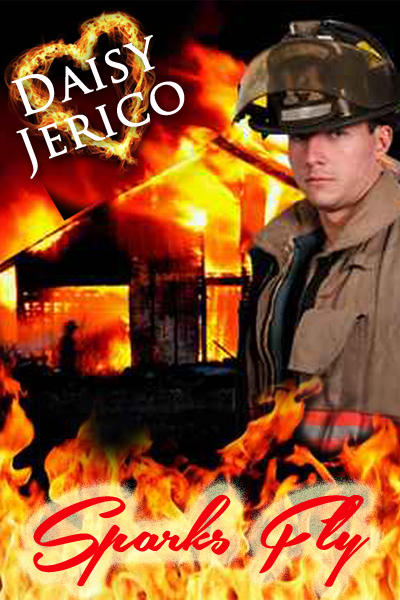 Sparks Fly is the latest romantic suspense novella by Daisy Jerico. This is an ebook released as part of the Diamond line with Prism Book Group. Good cooking can be the way to a man’s heart, but burning down your shed in an effort to make award winning barbeque ribs is probably not the most auspicious beginning when Carlisle first meets Chet, the firefighter who responds to her emergency call and initially suspects her of being an arsonist. Chet’s not sure what to do about he petite chef and under the guise of investigating arson he attempts to get to know her better. Unfortunately for Carlisle, the real arsonist is jealous that anyone would think she was capable of copycatting his attempts to bring down the fire chief. Chet quickly figures out that Carlisle is not the man he is after, but he is intrigued by this feisty woman. When it becomes clear that her life is in danger, Chet seeks to protect her from harm. Carlisle doesn’t want to be protected, but decides that she will try to help Chet solve the string of arsons that now seem to be targeted directly at both of them. Can they survive the sparks of love burning between them as they battle the fires that rage around them? This is a fast paced and lively romantic suspense that will keep you turning the page (ebook only). Daisy Jerico’s other romantic suspense novella, Love Thief, takes the author on a fun journey as well and is available also as part of this collection. If you enjoy novellas with spunky characters, Daisy is an author to watch and read.